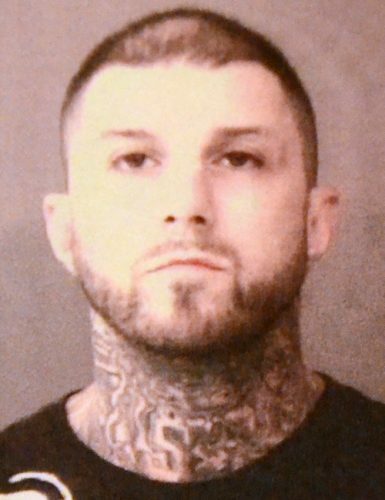 KOSCIUSKO COUNTY — A man who is awaiting pre-trial conferences on at least six criminal cases was arrested Sept. 19, on a warrant for resisting law enforcement, a level 6 felony and driving while suspended, a class A misdemeanor. A week later he was arrested on possession of methamphetamine charges. According to court documents, filed in Kosciusko Circuit Court, the arrest of Sterling R. Templeton, 37, 333 E. Park Ave., Leesburg, stem from leading police on a brief police chase Aug. 31. Police observed a Chevrolet Impala backing up at a high rate of sped on Adams Road, then quickly went forward turning north on EMS R4 Lane. The vehicle passed the police vehicle, allowing police to see Templeton was the driver. The officer yelled at Templeton to stop, but he ignored the order and sped up to a high rate of speed. A pursuit began, but Templeton continued to increase his speed while driving through a congested area. When Templeton drove around a corner, the officer briefly lost sight of the vehicle, but the observed the vehicle stopped along the side of the road. The driver’s door was open, but the driver was nowhere to be found. A passenger located in the vehicle, told police Templeton had been driving the vehicle. A check of his driver’s license showed he was a suspended driver. Shortly after the incident police spoke with a relative of Templeton, who was driving through the area looking for Templeton. Police were told the relative had been contacted by Templeton by cellphone to pick him up from the Ridinger Lake area. Official charges against Templeton for the Sept. 26, arrest for possession of methamphetamine have not yet been filed. At the time of his arrest, Templeton was out on bond on charges of: possession of a controlled substance, resisting law enforcement and driving while suspended, filed June 27; possession of a narcotic drug, unlawful possession of a syringe and driving while suspended filed June 9; possession of methamphetamine, possession of a narcotic drug, unlawful possession of a syringe and possession of paraphernalia, filed March 7; possession of a narcotic drug, unlawful possession of a syringe and possession of paraphernalia, filed Feb.15; two counts of counterfeiting and two counts of theft, filed Jan. 19; and dealing in methamphetamine, possession of methamphetamine, neglect of a dependent, possession of a narcotic drub, criminal gang activity, unlawful possession of a syringe and maintaining a common nuisance, filed in April 2016.